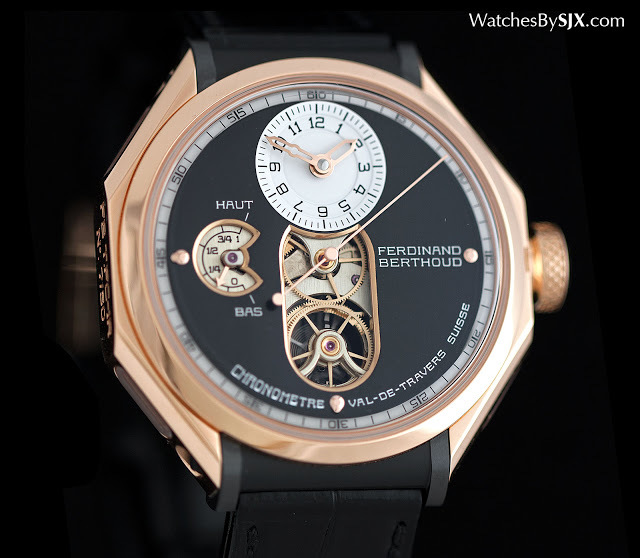 Developed and manufactured by the same people responsible for the wonderful Chopard L.U.C movements, the Ferdinand Berthoud FB 1 tourbillon is an ambitious start for the new brand. 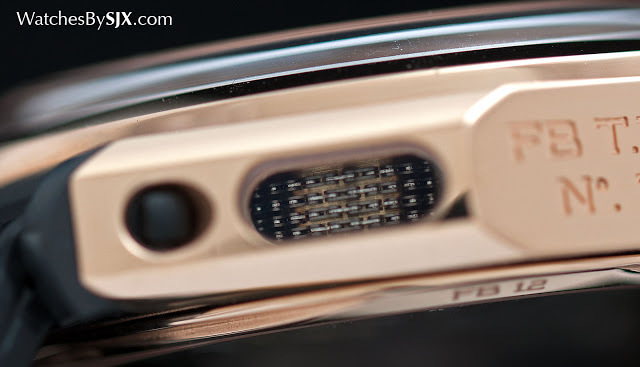 The FB 1 is obviously expensively put together, inside and out, being equipped with a movement developed from the ground up just for this watch, and one that’s elaborately constructed as well as well finished. 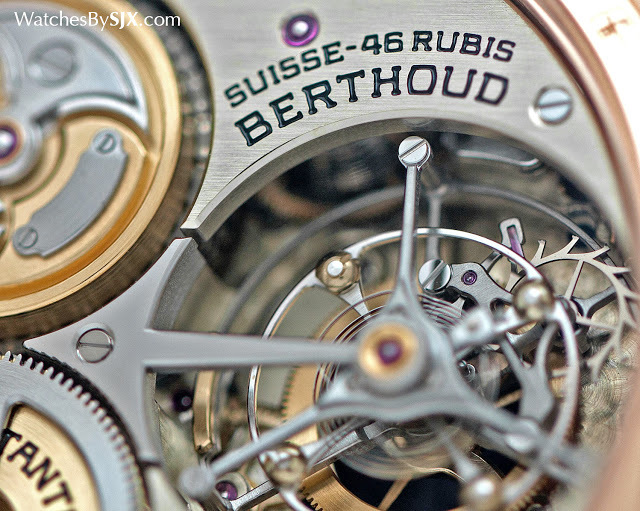 Prominent in the second half of the 18th century, Ferdinand Berthoud was Swiss, but set up shop in Paris, since France was one of the great powers of the age. His marine chronometers were particularly outstanding, landing him the post of clockmaker to the navy and subsequently, the King of France. 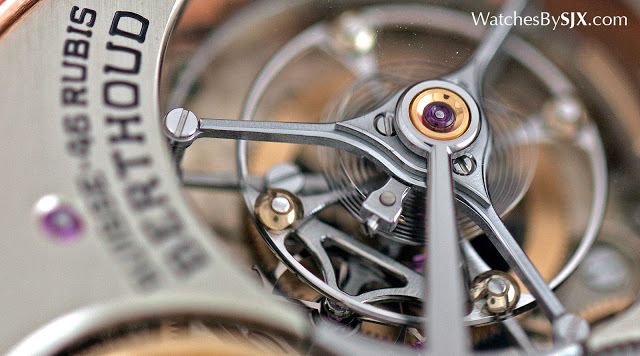 Amongst his contemporaries were Pierre Le Roy, whose name has also been revived, while Abraham-Louis Breguet came a generation later, though all three had overlapping careers in French watchmaking. 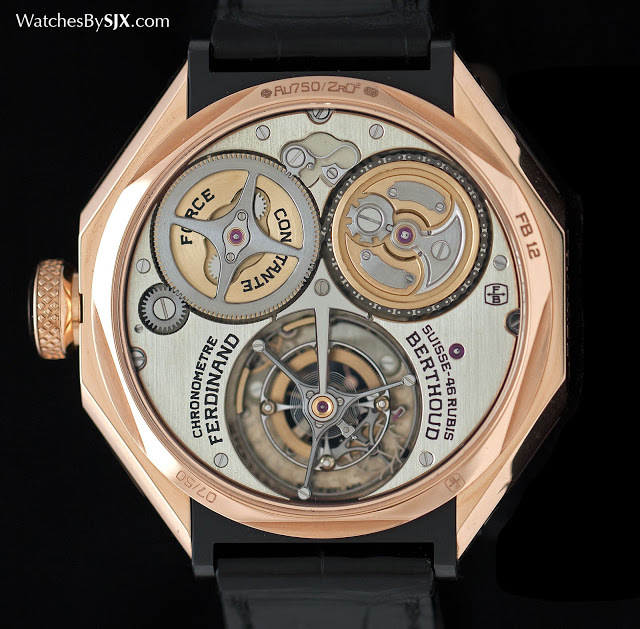 Ferdinand Berthoud has now been revived by Chopard, though it exists as a separate brand with its own retail network. 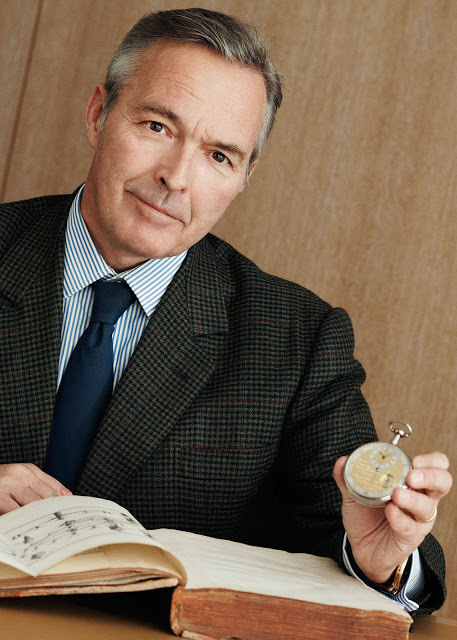 It’s headed by Karl-Friedrich Scheufele (above), the Co-President of Chopard whose passions are classic cars and fine movements. 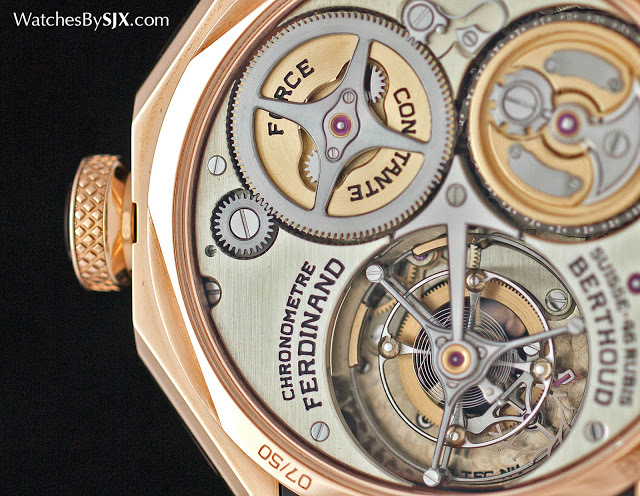 Thanks to the splendid manufacturing capability Chopard developed with its high-end L.U.C movements (another of Scheufele’s projects), Ferdinand Berthoud is making a comeback with no expense spared. 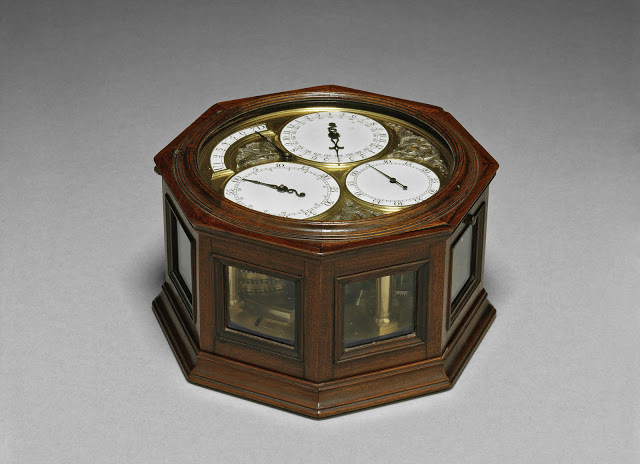 The case of the FB 1 is modelled on certain 18th century marine chronometers. Made by both English and French clockmakers, such marine chronometers had round movements inside octagonal mahogany cases. 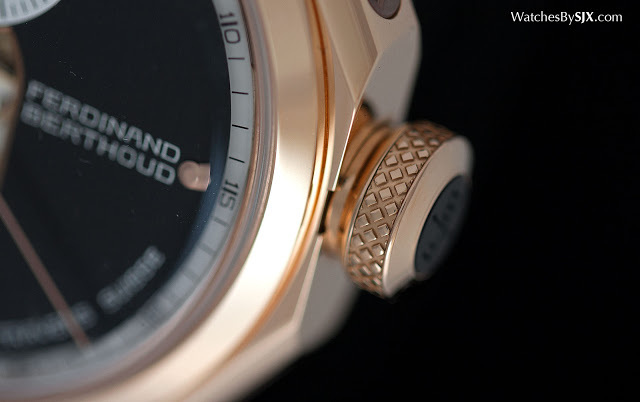 Similarly, the FB 1 wristwatch has a round movement inside an octagonal gold case. Though the design is idiosyncratic, an acquired taste for most, the objective quality of the watch is undeniable and visible in the photos – though it has to be said the production version will be sport an even more refined finish. 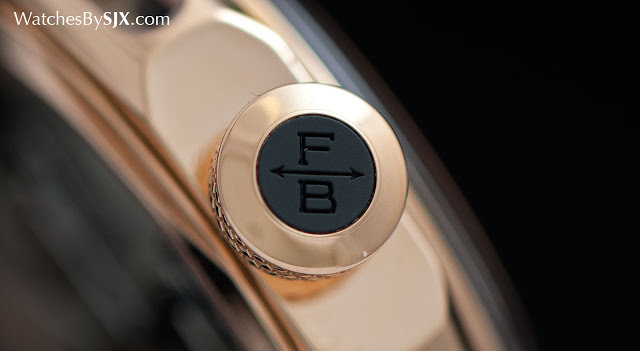 Measuring 44mm in diameter and 13mm high, the FB 1 is a largish watch; the rose gold gold version (pictured here) has black ceramic inserts as the lugs, while on the white gold model it’s a titanium insert. 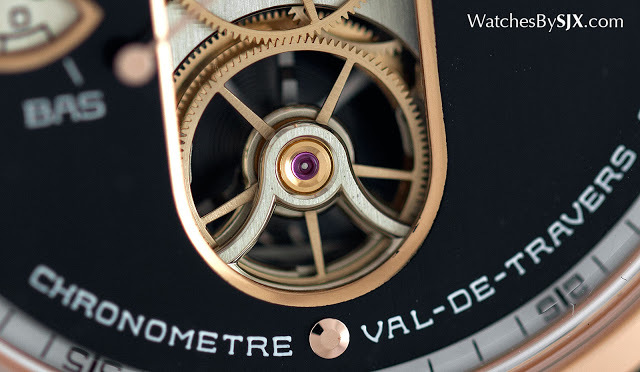 Fitted with a domed sapphire crystal, the case is elaborate, with four sapphire portholes on each side of the octagon so the owner can peer into the movement. This lateral view is only possible because of the movement construction (more on that later). The power reserve is at nine o’clock, while an elongated aperture down the centre of the dial shows the seconds gear for the seconds hand, which is directly driven. 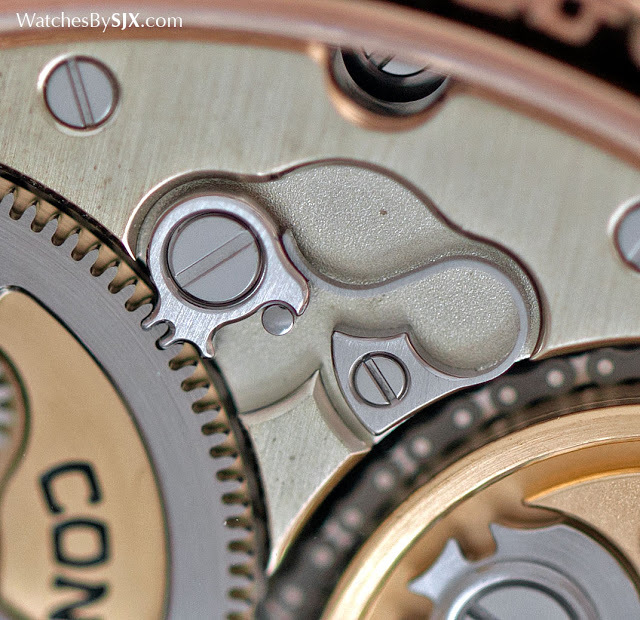 That means the seconds hand is driven directly by a gear in the gear train, as on a vintage chronometer. Being directly-driven, the motion of the seconds hand is more precise than that of an indirect seconds, which has more play between the extra gearing. 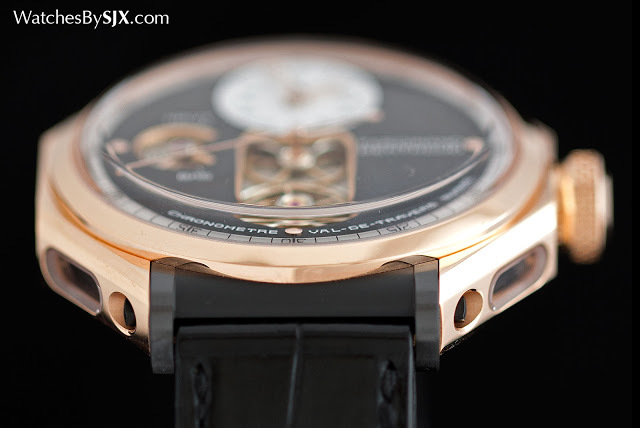 Like the case design, the movement is inspired by antique marine chronometers. 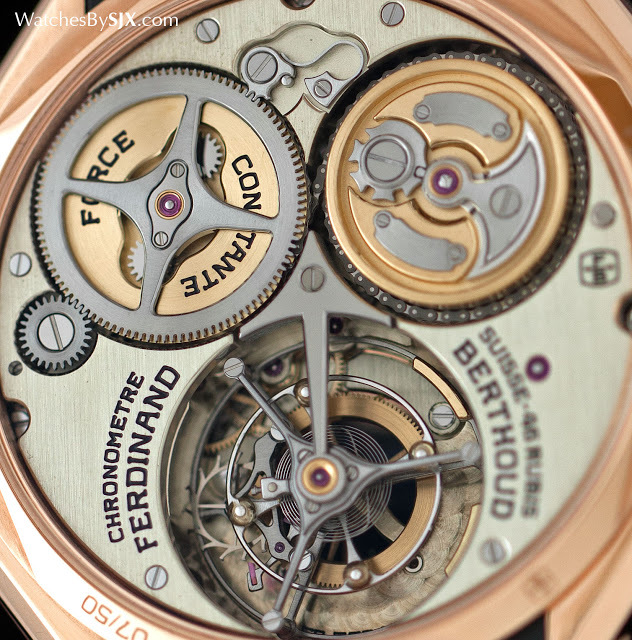 But unlike the form of the watch, the movement is easy to like. To start with the calibre FB-T.FC is built like a marine chronometer movement, essentially two circular plates held together by pillars, with all thee gears and moving parts in-between. It’s an anachronistic, perhaps primitive construction, but the calibre FB-T.FC is an intriguing mix of old and new. The top and bottom plates of the calibre FB-T.FC are untreated German silver, giving them the distinctive faint gold hue that will acquire a patina over time. They’re held in place by six titanium pillars on the perimeter of the plates. 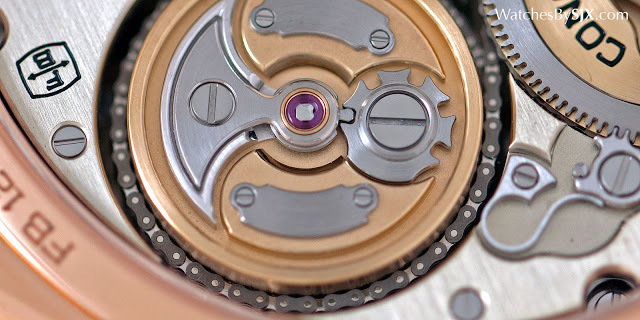 Because the pillars are widely spaced (relative to the movement dimensions), they do not obscure the movement so key components like the chain and fusee can be seen through the portholes on the side of the case. 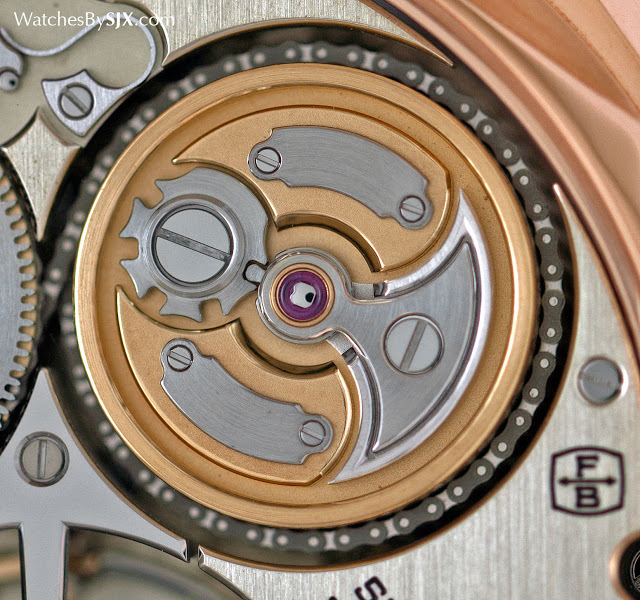 Because of the construction of the movement, the barrel and fusee are floating, meaning they are only anchored on the bottom, leaving them completely visible on the top. The fusée, essentially a cone made of gilded brass, is on the left, while the barrel that contains the mainspring is on the right. In-between the barrel and fusee is a small but elegantly shaped click spring for the winding. 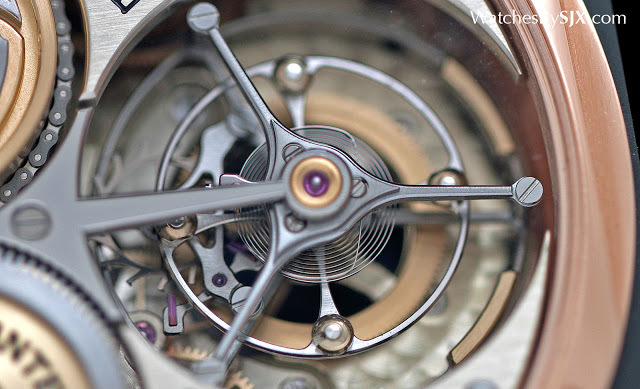 First found in a wristwatch when A. Lange & Söhne introduced the Pour le Merite Tourbillon in 1994, the chain and fusee relies on the principle of leverage to even out the power delivered from the mainspring as it winds down. Fittingly for a watch inspired by a marine chronometer, this is one of the oldest constant force mechanisms in existence, found in timepieces dating to the 15th century. 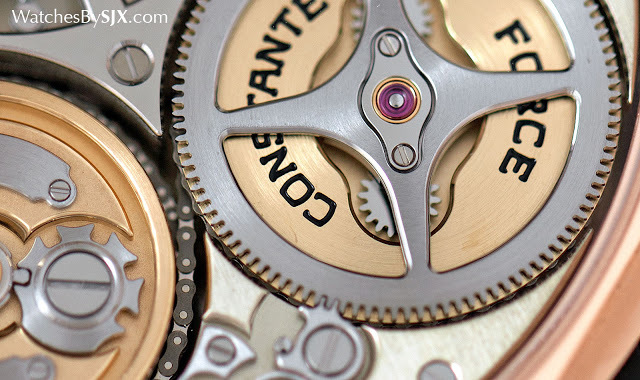 Old-fashioned, the chain and fusee is large, taking up lots of space, essentially half the movement, but is charming to observe and the minuscular chain is exceptionally hard to manufacture. 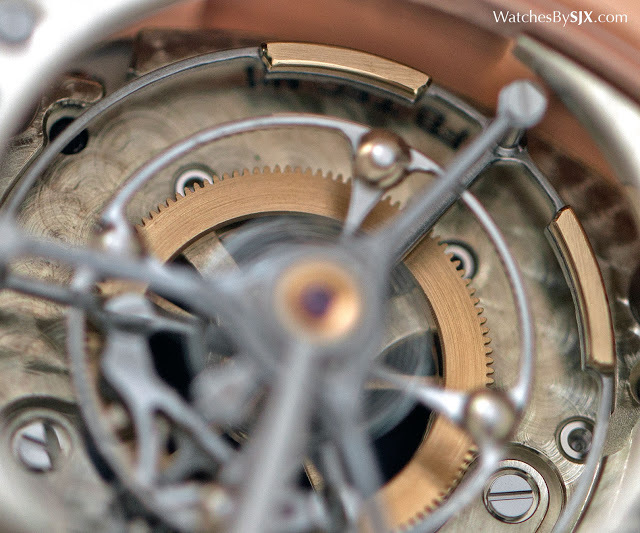 Visible on the dial at six o’clock is the gear that drives the tourbillon as well as the lower pivot of the tourbillon. That’s just a hint of what can be seen from the back. 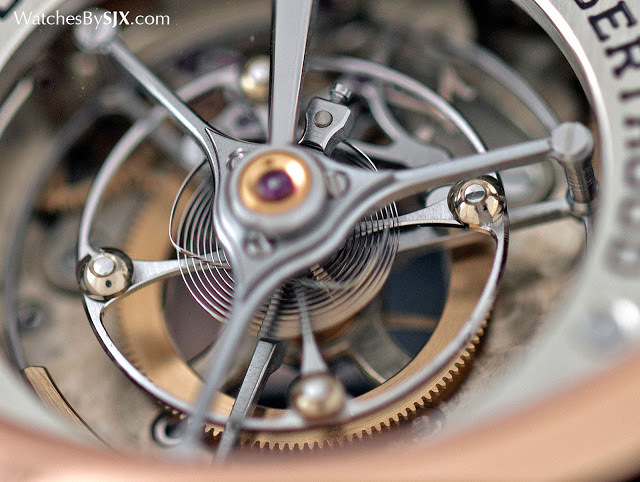 The tourbillon cage is large, beautifully finished and constructed. 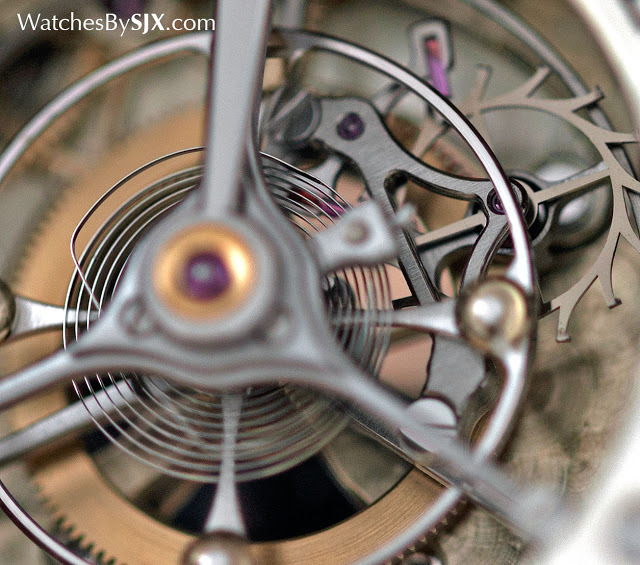 Two gold balance weights are visible on one side, to balance the weight of the escapement on the other side. 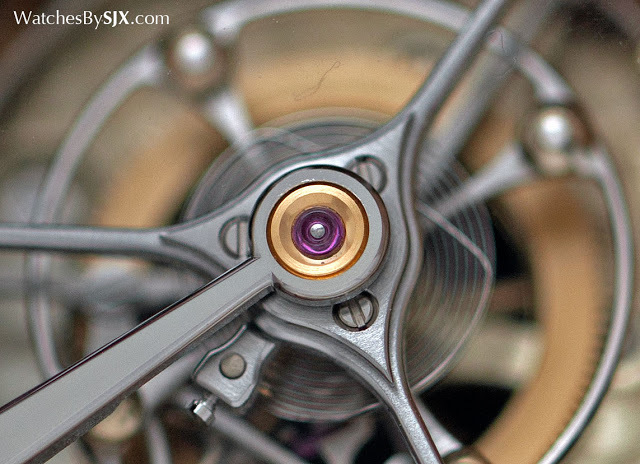 Similarly large, the balance wheel has gold adjustable poising weights, with a prominent overcoil hairspring. 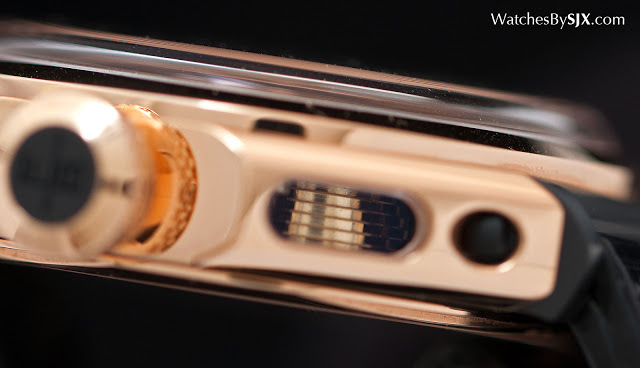 The FB 1 Chronometer is priced at SFr220,000 before taxes, in either colour of gold. Distributed completely separately from Chopard watches, Ferdinand Berthoud will not be available from Chopard boutiques or retailers. Instead it will only be available at eight specialist etailers worldwide, starting sometime in December. 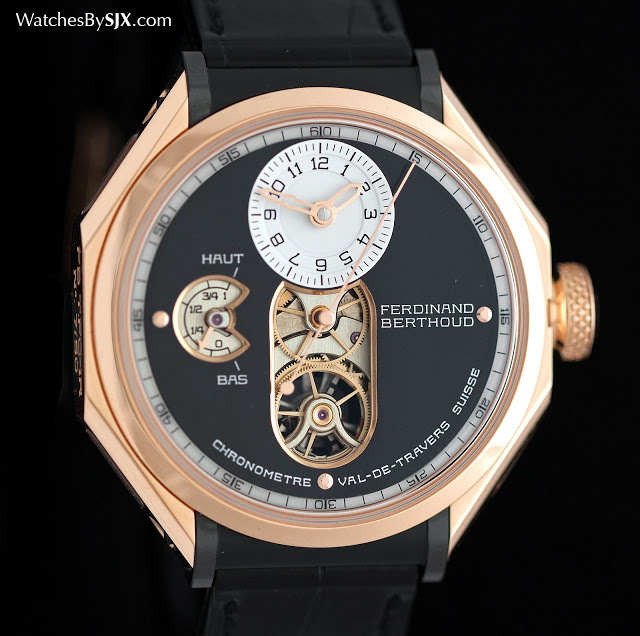 And it will also be available direct from Ferdinand Berthoud in Fleurier (http://www.ferdinandberthoud.ch/).